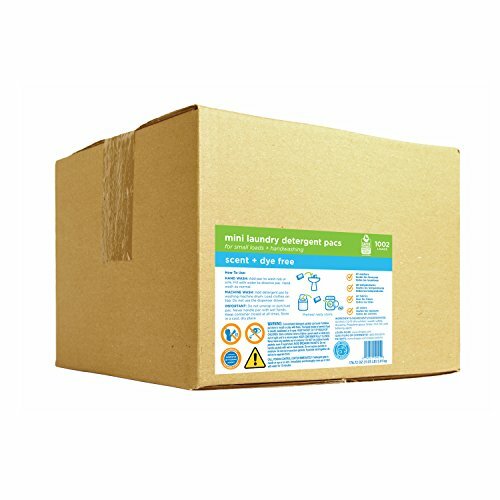 Dropps HE Hand/Machine Wash Mini Laundry Detergent Pacs, Scent and Dye Free, Bulk Box, 1002 Count by dropps at Blog Free Here. Hurry! Limited time offer. Offer valid only while supplies last. Gentle on you and your clothes, Dropps Mini Natural Laundry Detergent Pods are the safer and more powerful alternative for your small delicate loads. Gentle on you and your clothes, Dropps Mini Natural Laundry Detergent Pods are the safer and more powerful alternative for your small delicate loads. With no waste and no worries, Dropps pre-measured pods have no scents, no dyes, no enzymes and no chlorine making them perfect for your sensitive skin and small delicate loads. Dropps Detergent Pods uses a premium pre-measured,biodegradable, hypoallergenic, non-toxic, and non-irritating formula that penetrates tough stains right at the source. Also since the pods completely dissolve in your washer or sink, Dropps Minis are able to provide nothing but pure cleaning power without any messy clean up. No clean up, no lifting, simply one pod for one load is all you need. Dropps Mini Laundry Detergent Pods are the perfect laundry solution both sinks (handwash) and all washers (both standard and HE washing machines), all skin types, all temperatures, all fabrics (from fine cashmere and silk to your favorite pair of jeans) and all colors. Not only are Dropps Mini Pods the safe choice for your family, it's great for the planet: we don't waste water in manufacturing or waste energy transporting heavy plastic jugs. That's why Dropps Mini Pods and other Dropps laundry detergent products have been approved for EPA's Safer Choice program that recognizes products with safer chemistry. Lighten your load with Dropps Mini Pods. Perfect for sinks and handwashing and compatible with all standard and HE washers, all temperatures, all fabrics, all colors, and is safe for septic tanks. Laundry Detergent 4 Piece Honest Company, 70 oz.